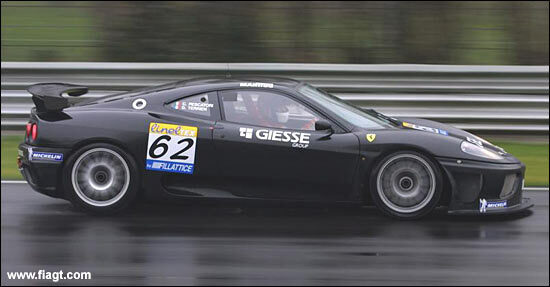 JMB Racing, with an extensive and successful history behind it of racing Ferrari 360s, will enter a pair of Ferrari 430s in the GT2 Class of the FIA GT Championship. The 2001 Champion team (N-GT, Pescatori and Terrien - below) will enter Peter Kütemann / Antoine Gosse in one of the cars, while the drivers in the other car will be “entrusted with the task of coming away with the GT2 title,” says the team’s statement. JMB has already confirmed its intention to race in the GT3 Championship, with Ferrari 430s: the team is “currently working on a GT1 programme, the details of which will soon be made public”. GT2 in FIA GTs is looking as though it should see a very interesting battle between the serious Porsche and Ferrari contenders this year.